I knew that most people took one look at the ink and the impossibly big and strong body it covered and decided I was a brawler...a bruiser...a beast. However, I was hardwired to be a thinker, not a fighter - my mind being my greatest weapon and my biggest weakness. I turned my back on dignity and sold my soul to the highest bidder, deciding to dance with the devil instead. I couldn't figure out how to help myself, so there was zero chance I knew how to save someone else. That someone else was Noe Lee. She was the unkempt, unruly thief who was just as smart as I was and twice as street savvy. She was annoyingly adorable beneath the dirt and grime, and she was in trouble. In way over her head. I told myself it wasn't my job to keep her from drowning. In the Point it was sink or swim, and I wasn't the designated lifeguard on duty. I had shut the door in her face, but now she's gone...vanished...disappeared without a trace. It took less than a second for me to realize that I wanted her back. When a woman comes along who melts all the frozen, hard things you're made of, you'll do anything you have to to bring her home. What you see is not always what you get...and with a man like me there is more than anyone ever bargained for. Being the second book in this series…I usually love them more than the first books. 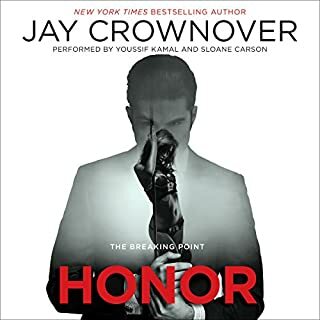 I know I am weird buttttt as much as I liked this book Honor is still number one for me. Though relistening to this I find I really enjoyed Noe & Starks story a lot more this time around. Noe’s story will break your heart as well as Starks and I think what makes this book so special is how they need each other and don’t even know it. But when they do, they are both just all in. It’s a book you can’t help but be rooting for them. And near the end… I FREAKING loved how they had each other’s backs. Best parts totally. 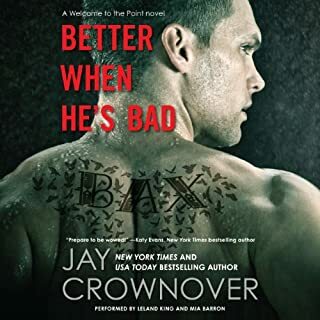 So disappointed in Jay Crownover. The narrator's voice droned on and the story was flat. "No" actually runs away at one point, which is so unlike Jay Crownover. Her characters are stronger and more sensible than that. I love Stark's character therefore I finished the book. Hope the next one is more entertaining. I love Jay's books! I LOVE techie references along with technology. Weird? Yes, but I love it anyway! This book has plenty of that along with plenty of suspense and romance! I am such a huge fan of everything Jay writes and I've never been disappointed. amazing story, great narration. can't wait for the next one! 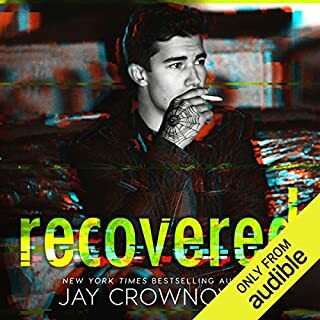 I love Jay's books, her people are real, which make it easier to really slip into the story and it brings the whole experience to a new level. I loved this book and routed for Noe and Snowden from the start, neither are perfect people with perfect lives but they are doing their best to make their world a better place for the young people who are not taken care of by the people who are suppose to love and support them. Keep up the good work Jay!! BOY GENIUS + MY LITTLE THIEF = MAD LOVE!!! Guaranteed to blow your mind!!! Noe and Stark will steal your heart!!! Inked by Jay's incredible words!!!! This is an Over the Rainbow Story!!! I don't know how, but Jay just created a character that has joined the ranks of Bax and Nassir. I didn't think it was possible. Those two outrank every other hot guy in every other story across the board. Snowden Stark is a genius, gorgeous and dangerous. Which, to me, made him HOT. I also enjoyed Noe. She was such a real character. With all the horrible things she went through, I loved how open she was to the possibility of a relationship with Stark. We see her do a quick Google search, but that's about it. I also didn't like the fact that she ran away from Nassir's place, when she was WAY too street smart for that. I didn't feel her brilliance at all. Audio was awesome, except Starks voice sometimes had an accent that seemed out of place. The Point is a fictional city where the bad guys are HOT. In the first Breaking Point book, we met the Devil, Nassir. You hate to love this bad man. In this story, we meet super smart Snowden Stark. He's built. He has tattoos and piercings AND wears glasses. SWOON. Noe Lee is no joke either. She hides herself in boy clothes while living on the streets to protect her identity. These two are a match for each other! This story isn't TOO dark either. Even though it is set in a dark unlikeable place, you will want these &quot;bad&quot; characters to come out on top. Jay has a way of spinning the wrong doers in a good light. I loved it. 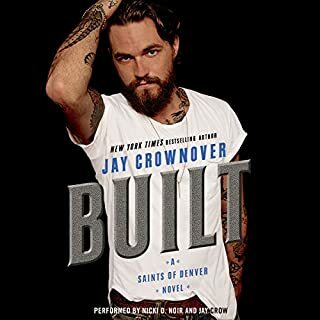 It is a must read book by any Jay fan. The chemistry is spot on as is the story. I'm anticipating what's next for these Point characters. I loved it the tin man gets a heart and a thief lay downs roots. 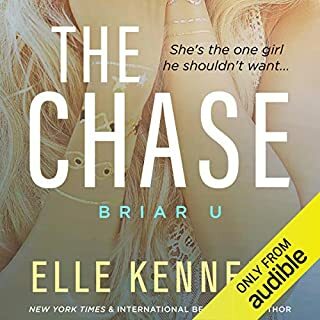 In the opening scenes of this enjoyable book you soon realize that the hunted heroine Noe Lee is strong, capable and very street savvy borne from a haunted past filled with the very worst betrayal. But she's not a victim any more.. now she makes her own opportunities, she helps the lost, the desperate and the broken who find themselves on the streets of the Point alongside her. Noe lives by her own rules on the streets and in the shelters she calls home and she's never been happier.. however Noe is now being hunted - hunted by a couple of very nasty men who get their orders from a corrupt Mayor who sexually abused his runaway daughter and he's determined to find her and he's been told Noe knows where she is. Noe needs help.. help from one particular person.. a handsome genius who has a tattooed body, diamond earrings and a killer body.. a figurative Tin Man without a heart.. a genius who lives for his tech world.. a genius who she had recently stole from.. and his name is Snowden Stark. He's an enigma.. he's a complex man who is supposed to fight for justice, fairness and fight for the little guy.. but, instead of helping Noe, Stark leaves her disappointed, defeated, devastated and playing a deadly game. Snowden Stark's shrewd, smart, controlled and totally focussed on one thing.. his motherboard and his work for the good guys.. and the bad guys - and he doesn't have the time, or the inclination, to help the dirty scruffy thief on his doorstep with multi-colored hair. He's had sorrow in his past all brought about by the government which has left him bitter, working secretatively and off the grid so he's not willing to stir up trouble for himself over Noe's dumb choices. Then, minutes after Noe's gone, Stark has a change of heart.. but all that's left of his frightened defenceless caller is a tatty taped backpack and a guilt-ridden Stark who is determined to get her back.. and he knows just the right 'bad' person to help him. This is the start of their dual POV journey.. a journey that's dangerous.. that's going to bring two very damaged souls together.. that's going to have suspense, intensity, sexual chemistry, dirty talk, an alpha hero, heartwarming scenes as well as breathless ones.. and a romance that starts off with barbed banter. Both Stark and Noe are hackers, she gets emotional and he doesn't have emotions at all and he has high impenetrable walls around his heart, both keep people at a distance.. but they lower their defences for each other.. and there was good character development because of it. Worth a credit? 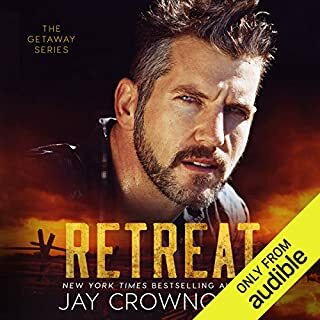 Yes, it was a well narrated, well written romantic suspense from a well loved author whose awesome stories continue to deliver.. to excite and to entertain me. 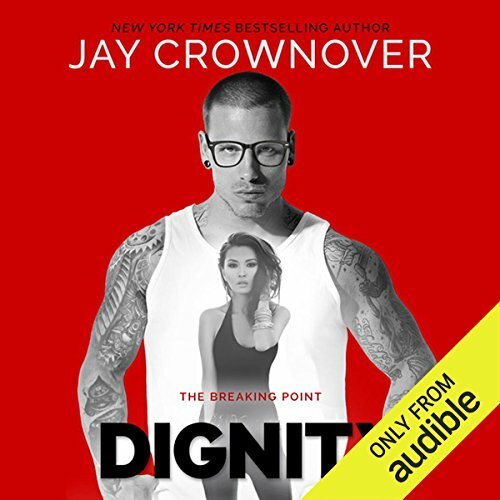 As always, Jay Crownover has produced a fantastic, engrossing story. Narrators were excellent in bringing the story to life. I loved this story it was a bit different and well written. I would have enjoyed it far more with a different female narrator sorry Natasha but you did nothing for me. Casey you were amazing.